Lady Gaga is having a pretty good 2019, wouldn’t you say? The singer-turned-actor was Oscar nominated for the showcasing of her talents across the two disciplines at the 91st Academy Awards, for Best Original Song and Best Actress. 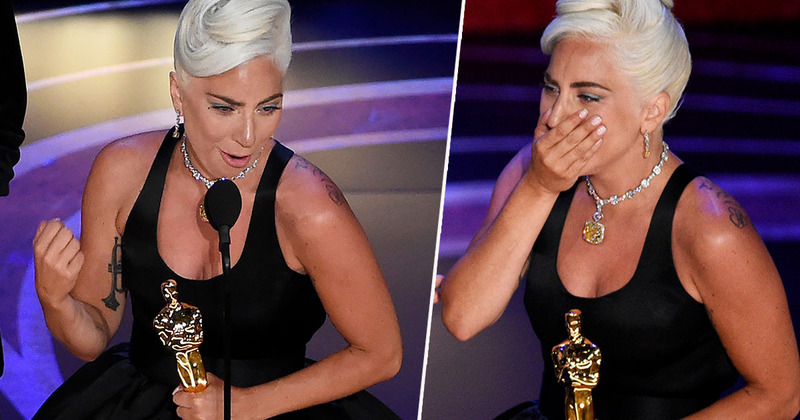 While Olivia Colman pipped her to the thespian post, Gaga did pick up a gong for the song Shallow – which has probably been lurking in your ear canals since you saw the reboot of A Star Is Born. Gaga – who lest we forget was a super famous and talented musical success before her acting talent was discovered by director and co-star Bradley Cooper – plays a rising star named Ali in the film. But with all the coverage the new pals have been getting in the press, you probably knew that even if you haven’t seen A Star Is Born – which is also headline-deserving, in my humble opinion. So, it’s no surprise it picked up seven nominations, of which it only won one for Best Original Song. If you are at home, and you’re sitting on your couch and you are watching this right now, all I have to say is that this is hard work. I’ve worked hard for a long time, and it’s not about winning. What it’s about is not giving up. If you have a dream, fight for it. It’s about discipline, over passion, and it’s not about how many times you get rejected or you fall down or you’re beaten up. It’s about how many times you stand up and are brave and keep on going. Some noted fellow songwriter, Jennifer Hudson’s expression while she watched Gaga express pride in her own hard work – without once crediting it to Cooper in a nice, refreshing new narrative take. While Gaga had already earned her chops on the music circuit a thousand times over, you can understand why she’s so determined to make a splash in Hollywood – an industry notorious for nepotism. Since A Star Is Born has been a commercial success it surely won’t be the last time we see Gaga – real name Stefani Joanne Angelina Germanotta – on the big screen. Along with Cooper, there was hardly a dry eye in the house. Congratulations to the fledgling acting talent and so successfully making the career transition.